After owning, managing, and personally cleaning our two cabins for seven years, a new addition to the family is on it's way. 2004 brought us Spokane, 2007 saw the creation of Autumn Pointe, and now 2014 is set to deliver our newest cabin, The Burnt Whisky. While we have learned priceless information about what potential customers want and expect, the search for seclusion and privacy trumps all other desires. Of course, a clean, well maintained property is high on the list as well. 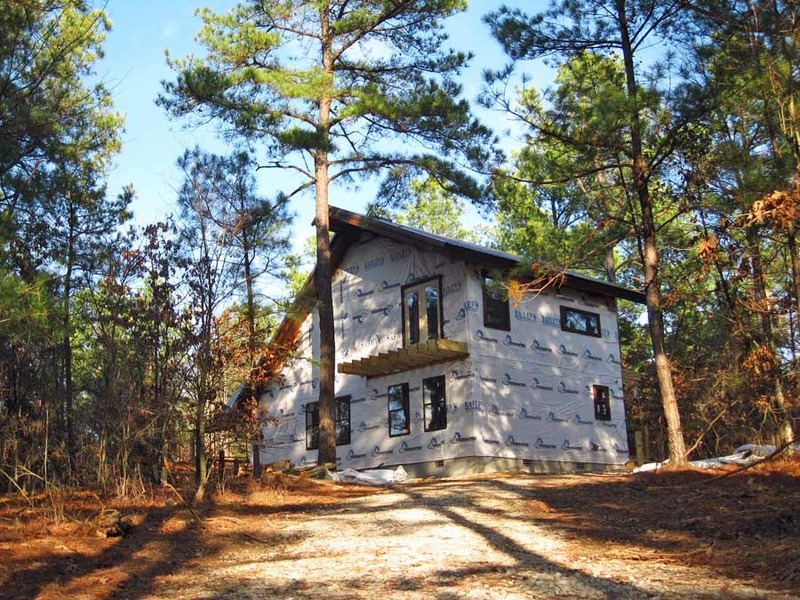 However, as more cabins are being built in the Beavers Bend Area, population density has been increasing. Many of the newer cabins are set on an acre or so, but often will sleep as many as 18 guests. As beautiful as these hand crafted masterpieces are, they often steal from the natural tranquility visitors are often trying to escape as they visit the Broken Bow area. After five years of observing and asking what guests are looking for, we came up with a secluded design located on two private acres. Now, add to that a maximum occupancy of two adults, and you have the perfect romantic getaway. For many years, the Spokane cabin has set on four acres in Wildhorse Plantation with a private fishing pond located directly in the middle of the property. Now, two of those acres, adjoining and directly south of Spokane will be the new home for The Burnt Whiskey. 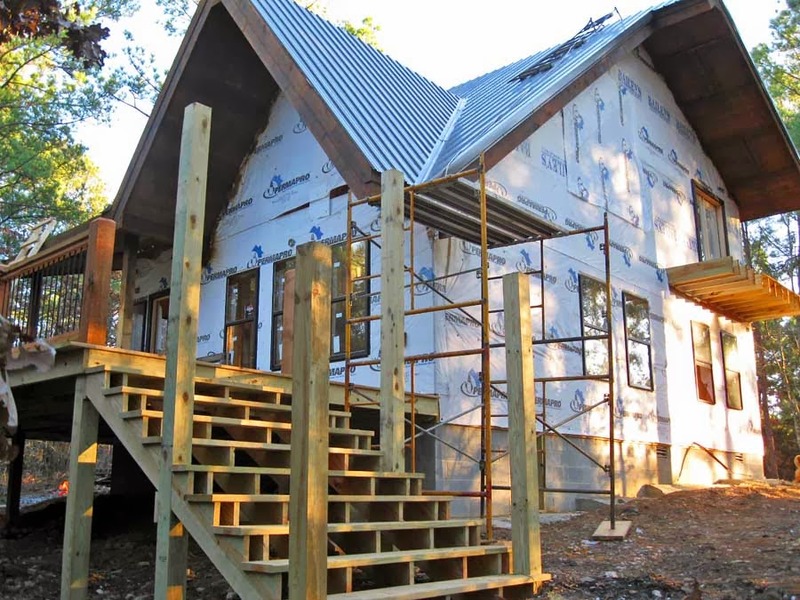 The 1120 square foot cabin is set to be completed by early spring 2014. It features a private king-sized bedroom with an HD T.V. A gas burning fireplace will be located in the living area with HD programming as well. The kitchen is full sized with all necessary appliances and utensils. A partial wrap around with a large private open aired deck will be the home to a new luxury hot tub. The Burnt Whiskey will feature a deep soaking cast iron slipper tub on the second floor. We have dedicated this floor as an open aired spa, with screened in balconies on each side of the floor. The double french doors can be opened to allow the flow of fresh air and light through the spa. There is no loss of privacy with the doors open, allowing guests to bathe in comfort. The physical location of the cabin is set high on a peak, creating elevated views from each side. A private toilet room, sink and vanity, and HD T.V. will also be located on the second story spa level. Downstairs will also have a clothes washer and dryer and high speed internet. All properties located in Wildhorse Plantation are on a minimum two acres. 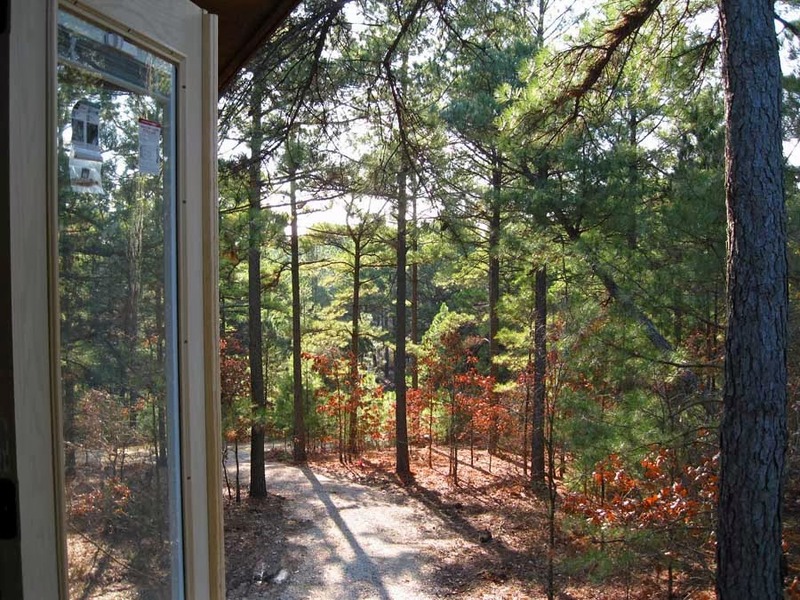 The size of the land makes the development one of the most private and secluded in the Beavers Bend State Park area. Also, being located close to two miles east of HWY 259 eliminates busy road noise. We will add more photos as progress takes place.